These finally arrivedddd. I purchased this in January, arrived late January and I just took them from the post office today. I can't wait to use them all especially the mask which I might start be using later tonight and slowly adding and replacing the ones I'm currently using like cleansers, serums and moisturisers. 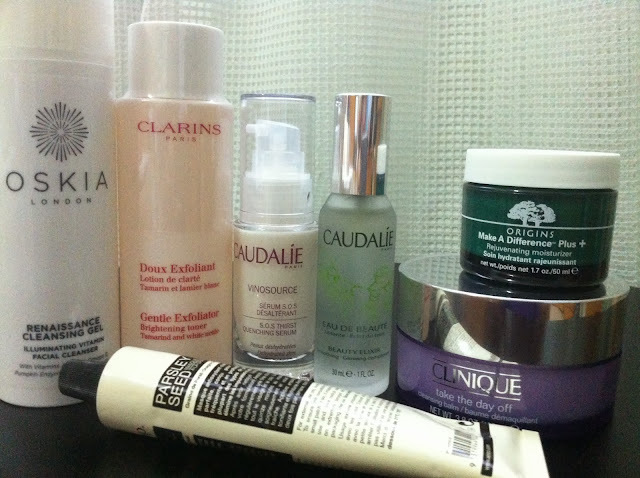 I'm really hoping that all these products will work great on my skin. I also bought Eve Lom Discovery set which includes their well-known cleanser, rescue mask and radiance TLC cream. I bought this because I wanted to try the cleanser but knowing that it contains mineral oil which I'm not sure if it's working with my skin or not, so I'm going to keep it first.